Erin Freeman is the DIrector, James Erb Choral Chair, of the Richmond Symphony Chorus. Trained at Northwestern University, Boston University, and Peabody Conservatory, she has served as Resident Conductor of Peabody, Music Director of Collegium Vocale Atlanta and the Richmond Philharmonic, and Director of Orchestras at American University and Baltimore School for the Arts. 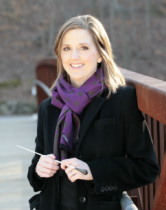 She served as Associate Conductor of the Richmond Symphony from 2007-2015 before assuming the position of Director of Choral Activities at Virginia Commonwealth University. For more information, visit erinrfreeman.com. Michael Simpson is Assistant Conductor and Pianist for the Richmond Symphony Chorus. He is a Richmond native who attended the University of Richmond, from which he earned the BA degree with honors in music. While attending UR, he studied with, played for, and sang with Jim Erb, founder of the Richmond Symphony Chorus. He also serves as Organist for Second Presbyterian in Richmond. 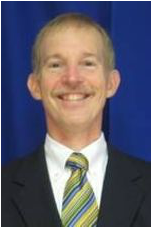 Michael was Organist and Minister of Music at Ginter Park Baptist Church for thirty-six years before being appointed Associate Director of Music at St. Stephen’s Episcopal Church in 2006. At St. Stephen’s Church he served as the primary organist/pianist for four weekly services, directed the youth and adult handbell choirs, directed a choir for children in the fourth and fifth grades, assisted in leading the Adult Choir, and developed the music repertoire for St. Stephen’s very popular evening Celtic worship services. Since September, 2011, he has held the position of Organist and Handbell Director at Second Presbyterian Church. For more information, visit the website of Second Presbyterian Church. Barb Baker has been working with the Richmond Symphony Chorus forever. She is a graduate of the University of Richmond, where she sang under Jim Erb's direction for four years. She became manager of the Chorus shortly after it was formed, took a seven year hiatus from the position in the 1980s, and then returned in 1994. Barb's professional life has revolved around human resources. She formed her own company, Management Plus, in 1996, and served as a consultant for ten years while transitioning into association management work. Today, three clients keep her busy enough to earn a living while freeing up her time for travel.